We’ve probably all dreamed of being a pro cyclist at some point. Riding the finest routes in the world, on the best bikes. Having everything set up around us to allow us to concentrate on getting the most out of our legs and our lungs – a support crew to deal with the gear, a personal nutritionist honing the perfect blend of diet and supplements, a medical crew to fix us, seasoned campaigners riding with us to coach us on the road – no wonder people get so good at it! Here at Flyingeese we don’t have any plans to become the next Team Sky, but we don’t see why keen amateurs shouldn’t get a taste of what it’s like to be one of the stars. We do everything we can to replicate their level of support. Apart from the fact that it’s always nice to get looked after, the reason we do this is because we want people who ride with us to be delighted with their own performance, for a trip with us to turn them into better cyclists. The more attention we pay to detail, the more likely this becomes. And there’s no better guide than looking at what the best in the business do and trying to match it. 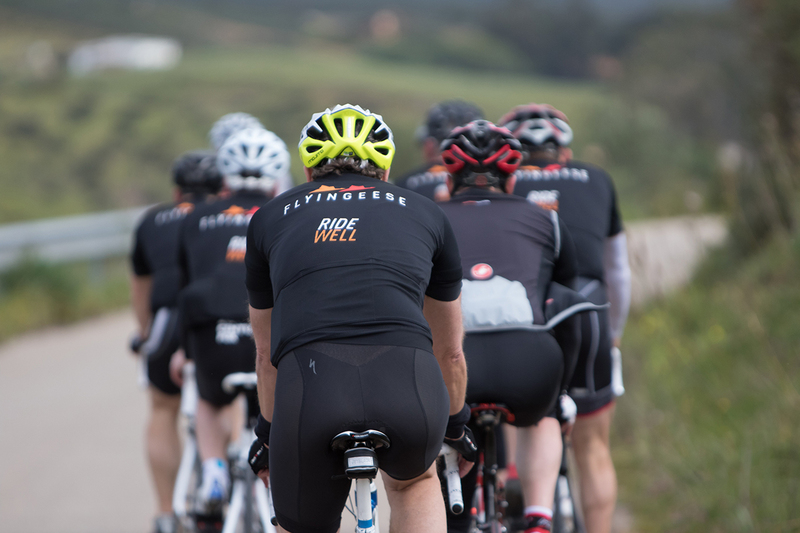 Of course, nothing can replace an individual rider’s commitment and motivation, but the quality of the support and facilities that you’ll find on a trip with Flyingeese will bring new dimensions to your riding – and give you at least a glimpse of what it’s like to live that pro cyclist dream.